DI Dylan series then read some of the free samples below and become a fan. The D.I. 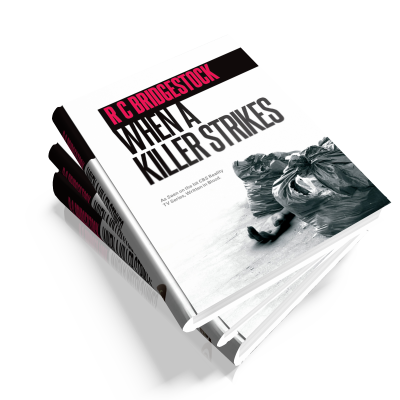 Dylan series of books by RC Bridgestock (Husband and wife writing team, Bob and Carol Bridgestock) comes from a unique perspective of a collective real life experience of high level policing of 47 years. 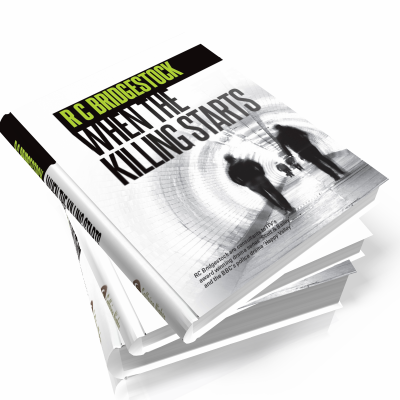 As a career detective Bob Bridgestock worked in the CID at every rank. For over half of his service he was a senior detective, retiring at the rank of Detective Superintendent of the West Yorkshire Police force. As a Senior Investigative Officer (SIO) in charge of homicide cases he took command of some twenty-six murder investigations, twenty-three major incidents including shootings and attempted murders and over fifty suspicious deaths and numerous sexual assaults, some of which were extremely high profile in his last three years alone. 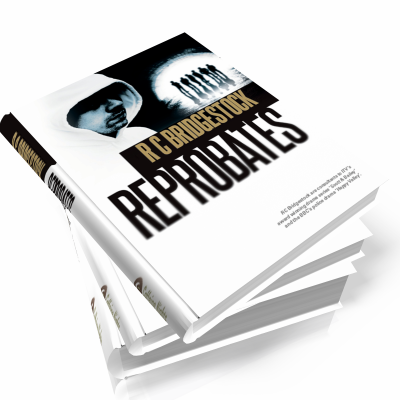 Bob brings this unique insight and experience from how real life cases are conducted into page turning gripping fiction, aided by his wife Carol, who has 17 years working within the force. Carol brings her understanding and the experience of a partner of a frontline detective to the D.I. Dylan series. This combination adds authenticity rarely seen in British crime fiction, coupled with warmth, humour and humanity. 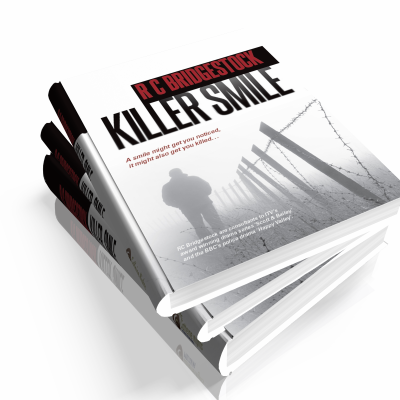 RC Bridgestock are story advisors for BBC’s hit crime drama, Happy Valley and ITV’s award winning Scott & Bailey. 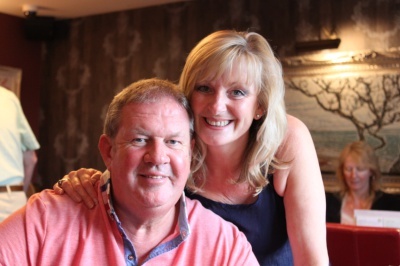 Listen to Bob and Carol Bridgestock on BBC Radio 4's news programme PM talking about thier work on the award winning TV drama, Happy Valley. A burglary at Harrowfield mortuary. The body of 30 year old Kirsty Gallagher is missing. Nearby, uniform police are searching the canal along with a small diving squad, following the discovery of some clothes by the bank side. The body of a naked man is hoisted from the murky depths. His ankles are tied by a piece of rope connected to concrete. Kirsty’s decomposing corpse is eventually found and an arrest is made which leads to a network of men whom D.I Dylan can only describe as reprobates. A killer with a macabre passion for human teeth stalks the residents of Harrowfield. dig deep to remain professional. Chilling, ultimate and full of menace. There is dark suspicion that nobody is safe until the perpetrator is apprehended. Will the ring of steel wrapped around Harrowfield bring the psychopath to justice? Coupled with the fact Dylan and Jen’s daughter Maisy is hospitalised with an undiagnosed serious illness; Jack is under pressure on all fronts. On a happier note Jen’s dad Ralph, introduces the pair to his new lady friend but all is not as rosy as it seems three hundred miles away on the Isle of Wight, when her son brings the police to their door. Dylan shares intelligence with The National Crime Agency which brings back a deep seated anguish of fallen colleague DS Larry Banks. Can he help them capture the boss of an international drugs cartel, and if so will it bring Dylan closure? Crime is a way of life for the Devlin brothers. Groomed at an early age and trained as criminals by local gangsters, the Devlin brothers get their thrill out of creating fear amongst their victims. They have a macabre pact; not to be arrested or caged. Hardly what Detective Inspector Jack Dylan needs to hear on his day off, especially as he’s in the middle of house-hunting with his wife Jen. Detective Sergeant Vicky Hardacre greets him at the scene, but what awaits them behind the blood red door of Colonial House is undoubtedly a murder. The approach identifies several prime suspects. But who is telling the truth; and who is lying? Before the killer can be caught, another body is discovered, this time in a putrefying mixture of mud and slime, lain amongst the remnants of decaying food within a waste-bin shelter. Now it’s the task of the man in charge to make the call. Are the two murders connected? There’s only one way to find out, and that’s by working long hours, within strict budgets, and the usual pressure from above to obtain quick results. However, Dylan is distracted by personal matters, with Jen being keen to seal the deal on a renovation project. He suggests they delay finalising the purchase; until he discovers the significance of the house, and that it’s about to be demolished. In his absence, Jen’s pleas for help from his estranged siblings are answered, resulting in hidden secrets coming to light, as Dylan continues, through a twisting and turning plot, to ensure justice is done in respect of the murder victims, whose bright hopes for the future were cruelly snatched away.